Education at William Austin Junior School will follow on progressively from your child’s experiences at their Infant School. Our curriculum is based on the National Curriculum. English and Maths are taught daily. Science, Computing, History, Geography, Art, Design and Technology, Religious Education (RE), Personal, Social, Health, Citizenship & Economic Education (PSHCEE), French, Games, Spelling, Phonics, Tables and Reading are taught throughout the week by the class teacher. We also employ specialist teachers for Music, Physical Education (PE) and some computing lessons. The classteacher will assess your child’s work throughout each term and this will be reported to you at our regular Parent Consultation evenings and through the end year report. 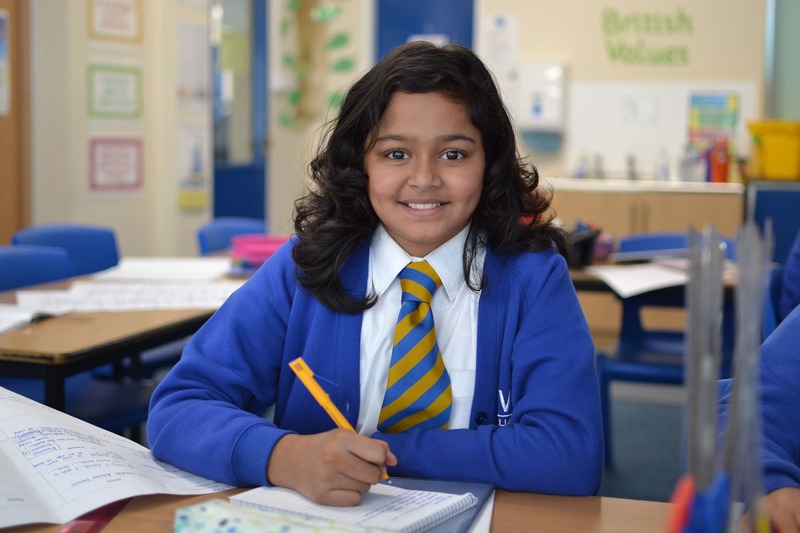 When your child reaches Year 6, at the end of Key Stage 2, they will take the Key Stage 2 National Tests (SATs). These tests will indicate their progress and achievement, the results, along with a teacher assessment grade will be reported to you. A copy of our latest Key Stage results can be seen in the performance tables pages on our website. Whole school policies for all subjects are available on the website or from the school office, on request. The skills essential for language development are taught using the National Curriculum. This provides the guidelines for teaching children throughout their primary phase of education. Pupils across years 3, 4, 5 and 6 are taught in class. Some pupils are taught in a smaller group in order to support and challenge them appropriately. Staff believe developing reading skills to be of great importance, and alongside the English hour, engage children in discrete Guided Reading sessions each week, as well as shared writing session, where they read with an adult and are taught the skills required for reading comprehension. Children also have a library slot, were they read independently, and are heard read on a 1:1 basis, at least once a week. We expect children to undertake reading at home, and appreciate the support given by parents in discussing texts with the children. We encourage the use of Standard English in all speaking and writing, and place great emphasis on the accurate use of English. The children undertake daily SPAG starters (Spelling, Punctuation and Grammar) where they are explicitly taught the skills they need to apply to their writing, in order to have a good command of the English Language. The whole school has taken part in the Talk for Writing program and this year it is being embedded throughout the school in English lessons. The development of a legible handwriting style will be encouraged in all lessons. We prefer that children write only in pencil or blue ink. Children in all years are expected to write in ink when they have successfully achieved their pen licence. Children are not permitted to use Biro type pens. Pens are sold in the school shop. Children undergo a spelling programme throughout the school, informed by the National Curriculum requirements. These sessions are taught in discrete, 20 minute lessons within their class. During these sessions, the school aims to improve children’s knowledge of spelling conventions and patterns, grammatical awareness, and promote a range of spelling strategies. Children are encouraged to ‘take risks’ with their spelling, and make plausible attempts at unknown words, using their knowledge of spelling conventions and phonics. Children must also be made aware that some, more difficult spellings, must be simply learnt, and are supported in doing so, using a range of strategies. Children in all year groups are expected to complete a short piece of English homework which will be linked to the SPAG focus being taught in English. In Y5 and Y6 a reading comprehension book is followed. For all year groups maths homework is an online activity using the My Maths website. Spellings are also sent home weekly, and children are expected to be heard read on a regular basis. Learning Log homework is set to allow children to show their knowledge and understanding of cross curricular work. We use the Times Table Rock Stars online programme to learn multiplication tables. Parents are expected to ensure that their child practises multiplication and related division facts regularly. There are regular tests during the week in class, including opportunities to compete against other classes and pupils, making this a competitive activity. We appreciate parental support in the completion of high-quality homework. Mathematics teaches us how to make sense of the world around us through developing a child’s ability to calculate, reason, and to solve problems. It is an essential element of communication which is important to analyse and communicate information and ideas. It enables children to understand and appreciate relationships and patterns in both number and space in their everyday lives. It also teaches flexibility, initiative, accuracy, logical thinking, to solve real life problems and is a source of interest and fun. Mathematics must be taught to implement the current legal requirements of the National Curriculum and to ensure that each child will leave our school numerate and able to use and apply Mathematics with confidence. At William Austin Junior School, all teachers and teaching assistants are responsible for developing basic skills in numeracy. Throughout the whole curriculum opportunities exist to extend and promote mathematics. Teachers seek to take advantage of all opportunities. Teaching styles and lesson structure provide opportunities for pupils to consolidate their learning, use and apply their knowledge, pose and answer questions, investigate mathematical ideas and assess and reflect on their own learning. There is a mathematics lesson everyday. In Years three, four and five we teach class maths and in Year six the children are taught in sets according to their abilities. Some children are taught in a smaller group so that individual needs are met. To aid the ability to calculate mentally, there are two additional 15 minute slots during the week specifically set aside for pupils to practice and learn their multiplication tables. We follow the new curriculum for science which covers biology, chemistry and physics using an enquiry based approach. Children are encouraged, through these disciplines, to learn about the world around them by questioning and making links between lessons and real life experiences. In studying Computing at the school, pupils are given the experience of working at a variety of disciplines in the subject including designing, writing and debugging programming, using sequencing and selection in programming and understanding algorithms. Pupils will also be taught how networks including the internet work and how to use them safely and securely. They will also undertake various design and creative projects using a wide variety of software. Further opportunities to hone these skills are practiced in other subject areas across the curriculum. The school is well equipped with computers. In addition to the classroom computers there is a networked Computing room where the children have a weekly lesson. There is also a networked computer in every classroom. Pupils have access to iPads, digital equipment and gaming devices in order to stimulate interest in learning. All the classrooms are equipped with interactive whiteboards, DVD players and visualisers. These provide access to a greater range of resources and teaching methods used to promote learning. Art is taught in termly blocks in all year groups. Children learn techniques of sketching, drawing, painting, collage and sculpture in a range of contexts. They also develop their understanding of different styles, artists and historical periods. Progression is secured in the knowledge and skills of how to appreciate and control the various materials that they work with. Children also make a significant contribution to display boards in a variety of subjects. In Design & Technology lessons, children are set tasks that direct them to design and make items for specific audiences and purposes. The practical element of each topic involves practice at one or more of the primary skills (textiles, food, structures, electrical systems and mechanisms). These skills are covered at least once during Years 3 and 4, and again during Years 5 and 6 in order to broaden children’s experience working with a wide range of tools and equipment and also to support structured progression. Each term, an award is made to the child in each class who has made an exceptional effort or who has made progress in a particular area. In History, children have excellent opportunities to understand how the world we live in has changed over time. The new curriculum will allow children to explore history using different mediums such as historical artefacts, cultural visits and a selection of experienced historians. It will invite children to become investigators as they carry out local studies of historical places in Luton including Luton Hat Factory, Vauxhall, Luton Hoo and the surrounding areas of Limbury and Biscot. The teaching and learning of History will develop children’s chronological understanding, extend their knowledge, improve their researching skills and challenge their thinking of the world we live in. We encourage the children to step back in time and experience life as our ancestors before us travelling back to the Victorians, Henry VIII, ancient Egypt and going as far as the Stone Age. At our school, we aim to make history an exciting topic, engaging and accessible for all children. 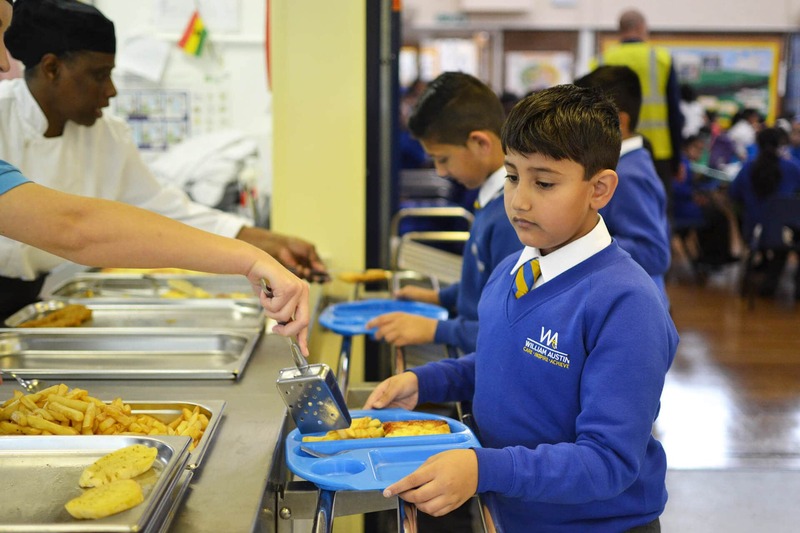 During the course of their four years at William Austin Junior School, the pupils study many aspects of the major religious traditions of the world including Buddhism, Christianity, Hinduism, Islam, Judaism and Sikhism. Children will also look at how morality, spirituality, ethics and social issues affect people. They will study such topics as civil and human rights, social cohesion, justice, charity and investigate the lives of inspirational people both past and present. There will also be some scope to look at smaller religious traditions and non-religious but morally based movements such as humanism. Learning a foreign language enriches the curriculum and provides an introduction to other cultures. It promotes pupils’ curiosity and deepens their understanding of the world. Pupils express their ideas and thoughts and respond to its speakers in speech and writing. At our school we teach French to all year groups. Geography is taught in all year groups as a stand alone subject. Pupils will be taught locational knowledge based on map work, place knowledge focussing on human and physical geography that compare similarities and differences between different places. They will also be taught geographical skills and fieldwork which gives children the opportunity to observe, measure, record and present human and physical features in the local area using compasses, atlases and technology when studying a particular topic. We use a variety of teaching and learning styles in our geography teaching during lessons which develop a range of study skills allowing children increasingly to take control of their own learning. We make use of the local environment in our fieldwork .Year five children have the opportunity to visit Dell Farm where the children enjoy orienteering, map work and environmental activities. The Healthy Schools Program aims to nurture and improve the well-being and achievement of young people, with the view to creating happy, healthy children who are successful both in learning and in life. At William Austin Junior School, we actively address these themes across the entire curriculum. We also offer a wide array of extra-curricular sports clubs in addition to delegating responsibilities to the Junior Leadership Team (JLT), where children represent their peers in the school, and the Junior Road Safety Officers (JSRO), where the children take an active role in promoting road safety. We believe that the work we do will allow the children to thrive and flourish both in school and in all their other endeavours. All classes have two hours of physical activity a week; one PE lesson taught by a specialist PE teacher and one Games lesson. Pupils will develop their knowledge and skill level in a variety of games and aesthetic activities during Key Stage 2 including, netball, hockey, football, rugby, basketball, cricket, tennis, rounders, gymnastics, dance, fitness, outdoor adventure and athletics. 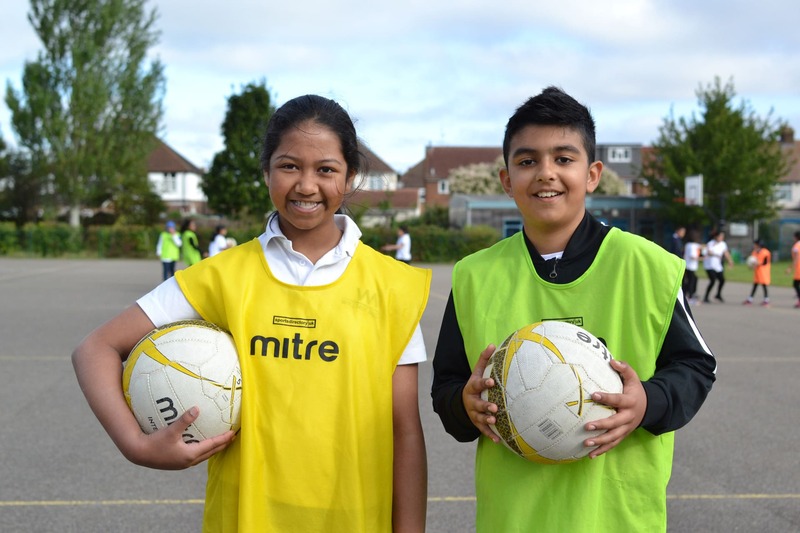 Pupils have the opportunity to develop their skill level further by attending one of the extensive sports clubs on offer at William Austin Junior School. William Austin staff run over 25 clubs a week in gymnastics, cricket, table tennis, football, netball, cheerleading, dance, tennis, badminton, rounders, sports hall athletics, tag ruby, cross country, boccia, kurling, boxing, basketball, dodgeball and tchoukball. William Austin Junior School has been recognised as a GOLD STANDARD school in the Sainsbury’s School Games Mark. The Sainsbury’s School Games Mark is a Government led awards scheme launched in 2012 to reward schools for their contribution towards Sport and PE in school and their commitment to the development of competition across their school. There are bronze, silver and gold levels of the mark award and we are extremely proud to have received the gold mark award every year since 2013. All classes have music lessons for one hour a week. Children are taught to appreciate and evaluate different genres of music, great composers and artists, singing, composing using instruments and ICT, and to play a variety of instruments. These will include: Samba percussion, African djembe, tuned/unturned percussion, keyboard, ukulele and recorder. Children who enjoy singing are encouraged to join the thriving school choir, which has members from all year groups. Every term there are opportunities for children to join various lunchtime and after school clubs, such as: Djembe Drumming, keyboards, violin, cello, ukulele, bell ringing, recorders and choir. The children are also encouraged to learn instruments in small groups, with specialist peripatetic music teachers. At present we have a visiting dhol drum teacher who teaches three small groups, every Tuesday afternoon. Our musical activities are shared in performances both in school and in the local community. Personal, Social, Health and Citizenship Education (PSHCEE) development of all pupils is very important at William Austin Junior School. This is achieved by providing positive experiences through planned opportunities through the balanced and broad curriculum and through interactions with teachers and the local community. At William Austin Junior School, we use PSHCEE lessons to support our children acquire the knowledge, understanding and skills they need to manage their lives. As part of a whole school approach, PSHCEE develops the qualities and attributes pupils need to thrive as individuals, family members and members of society. Every pupil at William Austin has a right to a broad and balanced curriculum. It is the responsibility of all staff to help each pupil reach their full potential whatever their needs. If parents are concerned about the progress their child is making they should make an appointment to speak to the class teacher. The teacher or the parent may request the support of the Inclusion Manager. A pupil is regarded as having special needs if they have a significantly greater difficulty in learning than the majority of children of the same age, or have a disability which prevents or hinders them from making use of educational facilities of a kind generally provided for children of the same age. develop basic skills in order to help pupils become more independent learners. All staff at William Austin recognise the important role parents have to play and involve both parents and pupils in the setting and reviewing of learning targets. Copies of the Special Educational Needs Policy and Inclusion Policy are available on request from the School Office. Children and young people have both rights and responsibilities as they grow and mature into young citizens. Understanding who they are and where they belong is a basic right and having the skills and vocabulary to express whatever that may mean to them, is fundamental to a healthy start in life. Developing further understanding of their place in the world and in their various communities, of home, school and any other places they may associate with strengthens the foundations for healthy citizenship and sets them on a path for adulthood, where they feel they have a place and that they have something to contribute. A healthy sense of belonging can best be fostered through a combination of high quality experiential learning and reflective classroom practice. To provide opportunities for adults, who work with children and young people, to share good practice, increase understanding of the issues of identity and community in their districts and to broaden perspectives. This year, we are linking with a class from Tennyson Road Primary School. The Spiritual, Moral, Social and Cultural development of all pupils is very important at William Austin Junior School. This is achieved by providing positive experiences through planned opportunities through the balanced and broad curriculum and through interactions with teachers and the local community. We therefore aim to provide an education that provides pupils with opportunities to explore and develop British Values alongside their own values, beliefs and spiritual awareness. Emphasis is placed on SMSC via our “Monthly Values” and incorporates the fundamental British values. The curriculum and the extra-curricular activities promote their reflection on their personality and beliefs, their understanding of what is right and what is wrong, their creativity and their awareness and respect about the cultural and any other diversity. Values are developed and explored in a variety of ways. Each month pupils who follow the values in an exemplary way are rewarded.